Black and turkey vultures sit on a hill in Danbury, Conn., fall 2017. 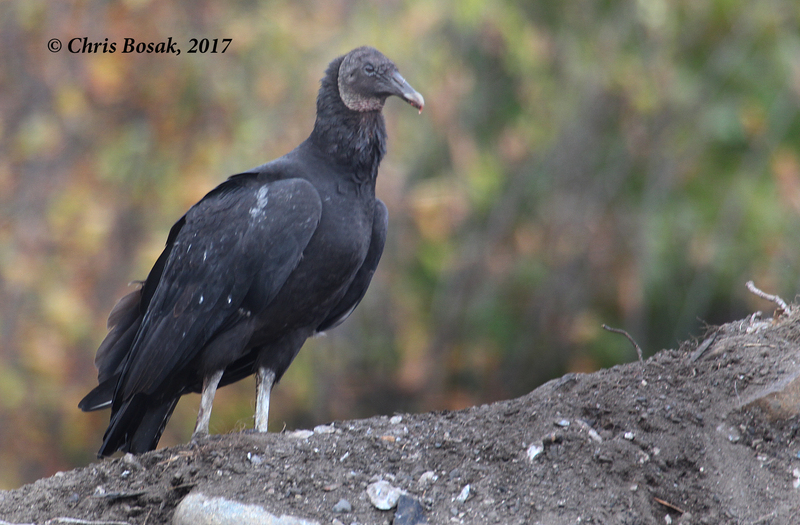 A black vulture sits on a hill in Danbury, Conn., fall 2017. I hope you enjoyed and made the most of Vulture Week. What? You didn’t know last week was designated as a celebration of vultures? That’s understandable considering I totally made it up so I could post on my birding blog some vulture photos I had sitting around. Days, weeks and months are designated for all sorts of crazy things, so why can’t www.BirdsofNewEngland.com proclaim Vulture Week? Well, it was last week anyway, so if anyone has a problem with it, it’s too late. A turkey vulture sits on a hill in Danbury, Conn., fall 2017. New England now boasts two species of vultures. The familiar turkey vulture — the one with the reddish/pink head — has been in our region all along. Now, the black vulture — with a blackish/gray head — is becoming more and more common in New England. The northward range expansion started decades ago, but similar to the expansion of the red-bellied woodpecker and Carolina wren, black vultures are garnering more attention as they become increasingly common. It is not uncommon for both species to be seen together, offering an easy side-by-side comparison. Aside from the color of their heads, there are other differences. The turkey vulture, for instance, is significantly larger. It is hard to judge its size when it is soaring, but when a close look is afforded, the difference is plain to see. Turkey vultures have a wing span of nearly 70 inches (about 6 feet) compared to the black vulture’s 60 inches (about 5 feet). The underside of the wings is another way to tell them apart. Black vultures have whitish wing tips while the white spreads significantly farther on the wings of turkey vultures. Both birds have a keen sense of smell, but the turkey vulture has the stronger sniffer. 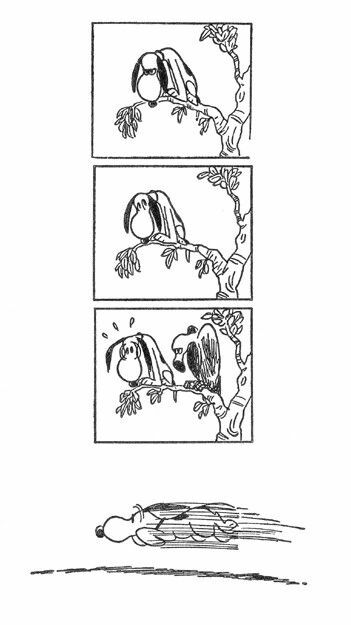 That’s one of the reasons the birds are often found together, I’m sure. Perhaps that’s how the large flock of vultures I photographed earlier in the fall found the prime spot at which I saw it. I can’t reveal exactly where I saw the vultures because I’m 99.9 percent sure I shouldn’t have pulled my car into that dirt lot. It is state-owned land (I’m not saying which state) and operated by the Department of Transportation. It is right off the highway and the rutted, rocky dirt driveway leading to a huge dirt pile is designed for dump trucks and large machinery, not passenger cars. But, after seeing huge numbers of vultures on that dirt pile day after day, I couldn’t help myself anymore. No one was behind me on the highway, so I made the turn into the area. There were dozens and dozens of vultures and I quickly realized why they liked that spot so much. It was the “dumping ground,” for lack of a better term, for the roadkill the DOT collected along the highways. Several dead deer, many with magnificent racks, were spread around the base of the dirt pile. It’s an easy, endless source of food for the birds. I kept my visit brief. I snapped a few photos, compared the black and turkey vultures, snapped a few more photos and got the heck out of there. People get excited when they see vultures. Why wouldn’t they? They are huge and, despite their ominous appearance, can be quite endearing. They are less wary than other birds of prey (even though they scavenge instead of hunt) and smart, too. Now try to tell me they don’t deserve their own week. 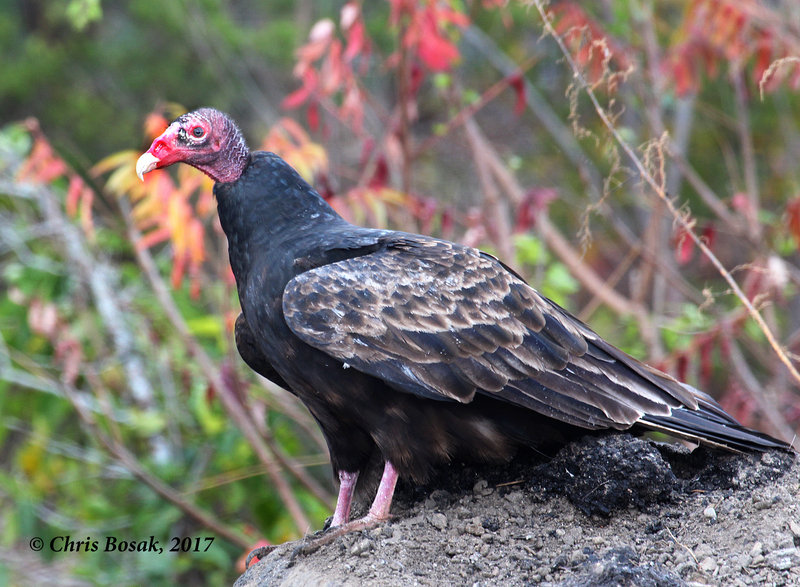 This entry was posted in For the Birds column, Vultures and tagged chris bosak's for the birds, For the Birds bird column, vultures in New England by Chris Bosak. Bookmark the permalink. I loved Vulture Week, especially the sinister appearance of the Black Vultures. And I was wondering what was special about Danbury! In my family we always called the birds that circled above the highway Buzzards. By the way, I’m happy to report that two buffleheads have appeared at the Pool, in Central Park at 100th Street. I enjoy watching them, & hope they’ll stay awhile.